Crafting Confessions: Creative forces unite! Hooray for the weekend! It's started here now as I've got today booked off work to take a trip across to see my buddy Caryn as we head across to Port Sunlight for the Happy Stampers festival tomorrow. I can't wait! But I'm guessing you're not here to check in with my weekend plans, you're here to see something crafty! I've been meaning to share this project with you for ages, but had to keep it top secret as it was a birthday present for my sweet friend (and fabulous colleague) Natalie! Natalie's birthday was approaching recently and my talented friend and colleague, Vicky, and I were discussing what we could buy for her. After lots of ideas, we figured that seeing as we're both creative peeps, why not create something for Natalie from our heart? A gift that no-one else on the planet has in their possession. An exclusive piece of our crafty endeavours just for her! And so the idea was born to combine our skills and get busy. We knew that Natalie is a fan of Mexican sugar skulls and upon seeing some sugar skull wrapping paper in Paperchase, we decided that this had to be our theme. 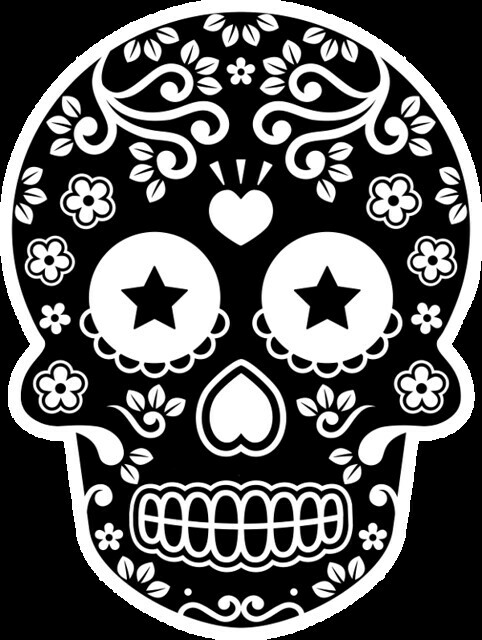 A little short of cash to send Natalie on an all-expenses paid trip to Mexico to celebrate Cinquo de Mayo, we opted to get busy with my Cricut Explore, some black glitter iron-on material and an image of a sugar skull. I upload my file and clicked that this is a simple image to edit. A pure black and white image - it doesn't get much simpler! I then edited the image by clicking on all of the white areas of the design to remove them and make them transparent. I need these to be negative spaces for the cut lines to be on the edges of the black areas. The next step shows how the image will cut before saving it. The red lines are the cutting lines. You have the option to go back and make further changes if you need to, or if you've missed an area. Creative forces unite! Vicky and I made a pretty good team and the best part was that this image was FREE! Yup, remember that you can upload your own .png and .svg files for your Cricut Explore to cut for free. Total bonus! Well, that's all from me today as it's time to drive across the peaks to the Wirral for a good catch-up with a good friend! I hope you have a lovely weekend! Wow! That is awesome!!! Bet she loves it. Happy trip to Port Sunlight - bit too far for me. 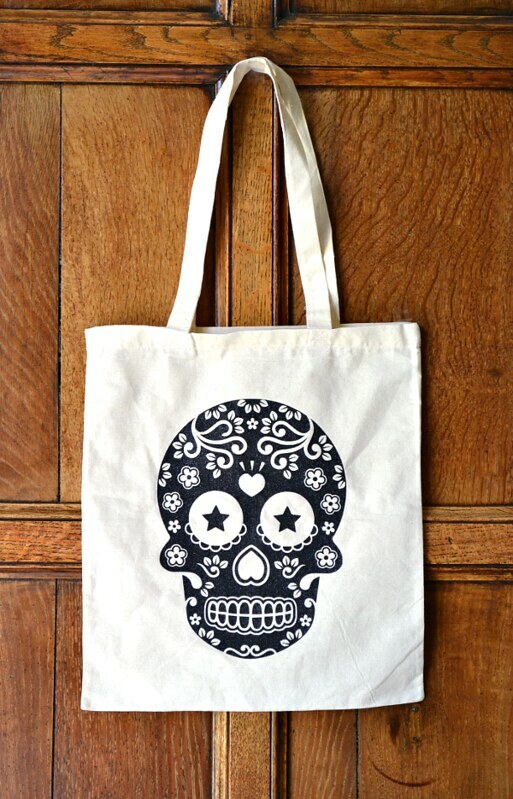 Did you use vinyl for the sugar skull?